Guiting Power and Temple Guiting Accommodation Cotswolds England UK - The villages of Guiting Power and Temple Guiting are quintessential ancient Cotswolds villages that totally blend into the surrounding peaceful and beautiful countryside. In this area of the northern Cotswolds you will find wonderful B&Bs, ancient English Pubs and Inns, and idylic Guest Houses that will provide you with great hospitality and cater for your every taste. The two Guitings are 3 miles apart and are approximately 7 miles from Stow-on-the-Wold and 15 miles from Cheltenham. Temple Guiting also has many footpaths and bridleways, including the Cotswold Way (2 miles), golf (6 miles), horse riding (4 miles), and Cheltenham races. Local Places of Interest - Broadway 6 miles, Stow on the Wold 7 miles, Bourton on the Water 5 miles, Winchcombe 5 miles, Cheltenham 11 miles, Stratford upon Avon 24 miles. 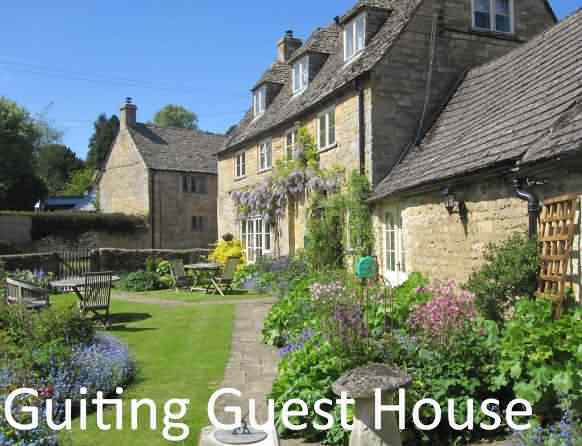 Guiting Guest House is located in Guiting Power, in The Cotswolds Area of Natural Beauty. The house was originally built in the 16th century and has many exposed wooden beams. Guiting Guest House provides free WiFi and ample parking. Most of the bedrooms offer an private bathroom, the exception being one room with a separate private bathroom and cloakroom. The bedrooms offer a hair-dryer, bathrobes, and complimentary toiletries and feature a TV and hospitality tray. An individually-cooked breakfast is available each morning in the dining room. Guests are able to enjoy the garden, or in the colder months can stay indoors in front of the log fireplace. Guiting Guest House also arranges bike hire. Hailes Abbey is 5.6 miles from the guest house. Cheltenham can be reached by car within a 30-minute journey. Stratford-upon-Avon is 24 miles from Guiting Guest House, while Oxford is 39 miles away. The nearest airport is Birmingham Airport, 48 miles away. 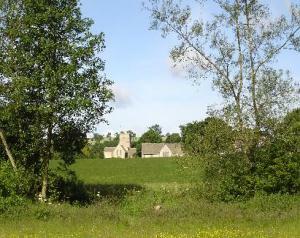 This property also has one of the top-rated locations in Guiting Power! Guests are happier about it compared to other properties in the area. This property is also rated for the best value in Guiting Power! Guests are getting more for their money when compared to other properties in this city. 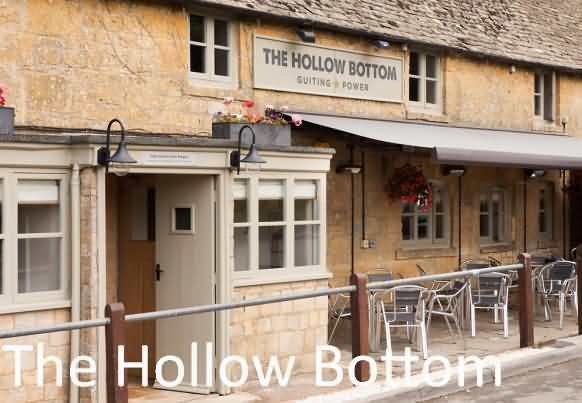 Located in the village of Guiting Power, The Hollow Bottom features a garden and a terrace. Featuring luggage storage space, this property also provides guests with a restaurant. Free WiFi is at guests' disposal. At the hotel, each room has a desk and a flat-screen TV. The rooms are equipped with a electric tea pot, while certain rooms come with a patio and others also offer garden views. At The Hollow Bottom, the rooms have a seating area. The accommodation offers a continental or Full English/Irish breakfast. Oxford is 29 miles from The Hollow Bottom, while Stratford-upon-Avon is 20 miles away. The nearest airport is Gloucestershire Airport, 13 miles from the property. The 5-bedroom manor house has been privately owned since the 15th century and is steeped in English history. It has been beautifully refurbished and is now available as an exclusive home to rent for those seeking a discrete retreat away from city life. Set in approximately 14.5 acres, Cotswold Manor offers an all-weather astro-turf tennis court, wonderful views across the River Windrush, gently rolling fields and the manor’s own lake. 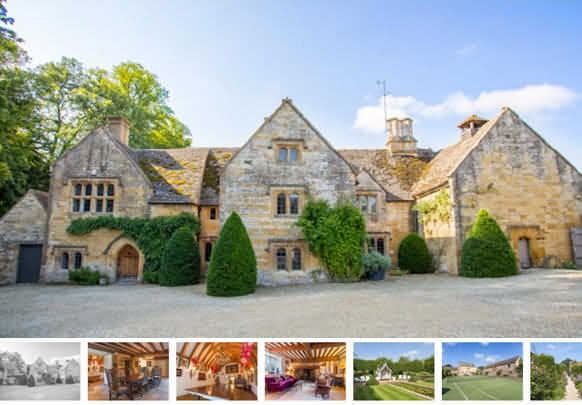 For relaxation in an atmosphere of tranquillity and charm in the classic Cotswold village of Temple Guiting, Cotswold Manor is a wonderful place to stay, be it to spend time with friends and family, entertain clients, or arrange team building for corporate groups. Near to Stow-on-the-Wold and Bourton-on-the-Water. This family retreat is available for your sole use on a self-catering basis for long weekends, weekly and monthly stays. In the very heart of the Cotswolds is a private six acre wildflower meadow and trout stream with a small but intensly charming, romantic and beautifully furnished lodge overlooking the village church in the distance - and it is yours alone to enjoy. The origins of the old building are lost in history, but the present mellow Cotswold stone building has been transformed into a warm elegant lodge offering country house comfort to the highest standard together with that most important of ingredients privacy. A deep comfortable soft sofa, a sizzeling log fire toasts your toes on a cold winters day. The haze of summer allows you to savour the sweet smells of the wild flower meadow and the sound of the bubbling nearby river through the large glass doors that open wide. The soft corn coloured panelled sitting room elegantly furnished with both English and Swedish antique furniture is warm and inviting. A small pretty writing desk placed beside the fireplace, bookshelves with interesting reading, soft comfortable sofa and elegant chairs together with the warmth and wonderful smell of a wood burning log fire. The lodge could be described as Lilliputian it has the feeling of a beautiful theatre set. A short broad staircase leads to the main gallery bedroom with its comfortable beautifully draped Colefax and Fowler bed hangings accompanied by soft white linen. From this you access a Swedish built in single bed with its pretty toile drapes, this when not occupied may be used as a dressing area. The bathroom is lovely and has a charming turret window that overlooks the gallery. The kitchen in entered via a small stone winding staircase and has every modern necessity yet retaining the character of a more gentle time. A dining table that overlooks the meadow. The china is Royal Worcester. A white Belfast sink set in oak working surfaces and a stone flag floor create a warm solid farmhouse feel to the kitchen. Integrated kitchen appliances include dishwasher, washer drier and refigerator. The best way to see the hidden cotswolds timeless villages and scenery is by Private Car Hire on narrow country lanes Luxurious home and gardens offering top class accommodation and food. Close to Stratford upon Avon Stay in the beautifulAbbot's Broadway summer residence - a truly unique Cotswolds experience. Old Cotswolds Inn at Broadway - Jewel of the Cotswolds. Providing good accommodation and restaurant. 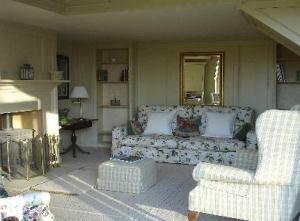 Specialists in stylish, contemporary and characterful Cotswold Cottages.